"ECHA" redirects here. For other uses, see ECHA (disambiguation). 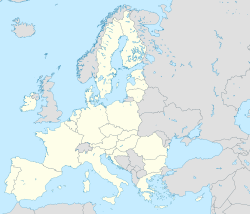 The European Chemicals Agency (ECHA; /ˈɛkə/ EK-ə) is an agency of the European Union which manages the technical, that and administrative aspects of the implementation of the European Union regulation called Registration, Evaluation, Authorisation and Restriction of Chemicals (REACH). ECHA is the driving force among regulatory authorities in implementing the EU's chemicals legislation. ECHA helps companies to comply with the legislation, advances the safe use of chemicals, provides information on chemicals and addresses chemicals of concern. It is located in Helsinki, Finland. The agency, currently headed by Executive Director Bjorn Hansen, started working on 1 June 2007. The REACH Regulation requires companies to provide information on the hazards, risks and safe use of chemical substances that they manufacture or import. Companies register this information with ECHA and it is then freely available on their website. So far, thousands of the most hazardous and the most commonly used substances have been registered. The information is technical but gives detail on the impact of each chemical on people and the environment. This also gives European consumers the right to ask retailers whether the goods they buy contain dangerous substances. The Classification, Labelling and Packaging Regulation (CLP) introduces a globally harmonised system for classifying and labelling chemicals into the EU. This worldwide system makes it easier for workers and consumers to know the effects of chemicals and how to use products safely because the labels on products are now the same throughout the world. Companies need to notify ECHA of the classification and labelling of their chemicals. So far, ECHA has received over 5 million notifications for more than 100 000 substances. The information is freely available on their website. Consumers can check chemicals in the products they use. Biocidal products include, for example, insect repellents and disinfectants used in hospitals. The Biocidal Products Regulation (BPR) ensures that there is enough information about these products so that consumers can use them safely. ECHA is responsible for implementing the regulation. The law on Prior Informed Consent (PIC) sets guidelines for the export and import of hazardous chemicals. Through this mechanism, countries due to receive hazardous chemicals are informed in advance and have the possibility of rejecting their import. Substances that may have serious effects on human health and the environment are identified as Substances of Very High Concern (SVHC)1. These are mainly substances which cause cancer, mutation or are toxic to reproduction as well as substances which persist in the body or the environment and do not break down. Other substances considered as SVHCs include, for example, endocrine disrupting chemicals. Companies manufacturing or importing articles containing these substances in a concentration above 0,1% weight of the article, have legal obligations. They are required to inform users about the presence of the substance and therefore how to use it safely. Consumers have the right to ask the retailer whether these substances are present in the products they buy. Once a substance has been officially identified in the EU as being of very high concern, it will be added to a list (the Candidate List). This list is available on ECHA's website and shows consumers and industry which chemicals are identified as SVHCs. Substances placed on the Candidate List can then move to another list (the Authorisation List). This means that, after a given date, companies will not be allowed to place the substance on the market or to use it, unless they have been given prior authorisation to do so by ECHA. One of the main aims of this listing process is to phase out SVHCs where ever possible. In its 2018 substance evaluation progress report, ECHA said chemical companies failed to provide “important safety information” in nearly three quarters (74% or 211 of 286) of cases checked that year. "The numbers show a similar picture to previous years" the report said. The agency noted that member states need to develop risk management measures to control unsafe commercial use of chemicals in 71% (15 of 22) of the substances checked. Executive Director Bjorn Hansen called non-compliance with REACH a "worry". Industry group CEFIC acknowledged the problem. The European Environmental Bureau called for faster enforcement to minimise chemical exposure. ^ "Executive Director - ECHA". echa.europa.eu. Retrieved 2018-01-07. ^ "REACH Legislation - ECHA". ^ "CLP Legislation - ECHA". ^ "BPR Legislation - ECHA". ^ "PIC Legislation - ECHA".